This page introduces Quintin Bradley’s research into key issues of housing and planning policy. You can find links to my papers published in academic journals. You can download an ‘author’s version’ of most journal articles. 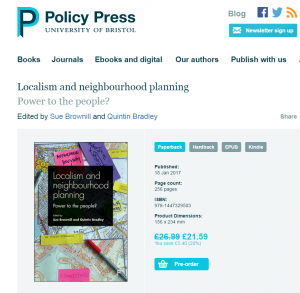 Localism & Neighbourhood Planning: power to the people? Trouble at the Top: The Construction of a Tenant Identity in the Governance of Social Housing Organizations.